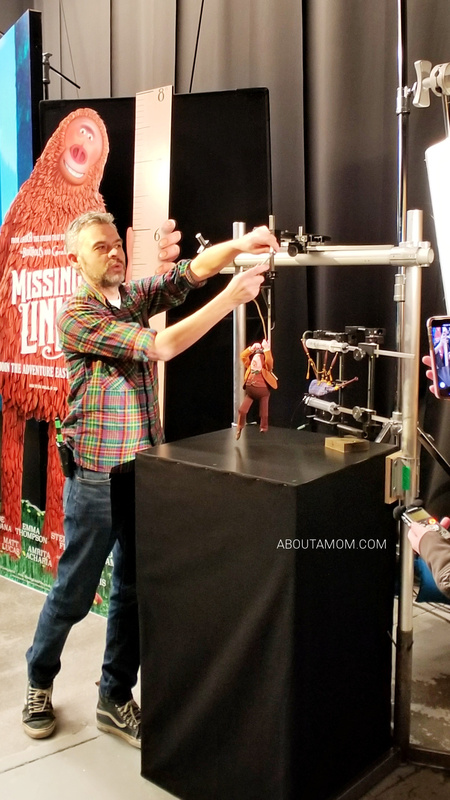 MISSING LINK is coming to theaters on April 12th and I’m so excited to share that I recently had the opportunity to visit LAIKA Studios in Portland, and go behind-the-scenes on the set of MISSING LINK. Going into this, I had a feeling MISSING LINK was going to be something very special, having seen LAIKA Studio’s past films like Kubo and the Two Strings, and Coraline. 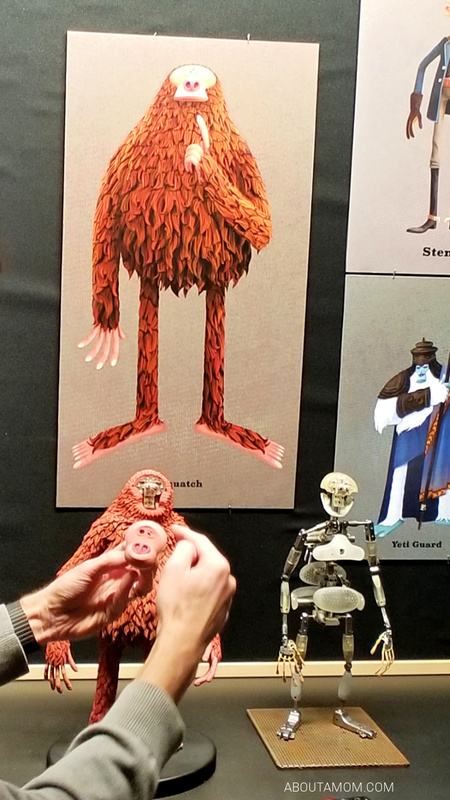 After getting a behind-the-scenes look at how the film was made and screening about 20 minutes of MISSING LINK, my expectations have been far surpassed. MISSING LINK is a very special movie indeed, and a heartwarming film the whole family will enjoy. You don’t want to miss this one! In full disclosure, travel and accommodations were provided by United Artists Releasing. However, all opinions are my own. This globe-trotting family adventure is about finding where you belong. 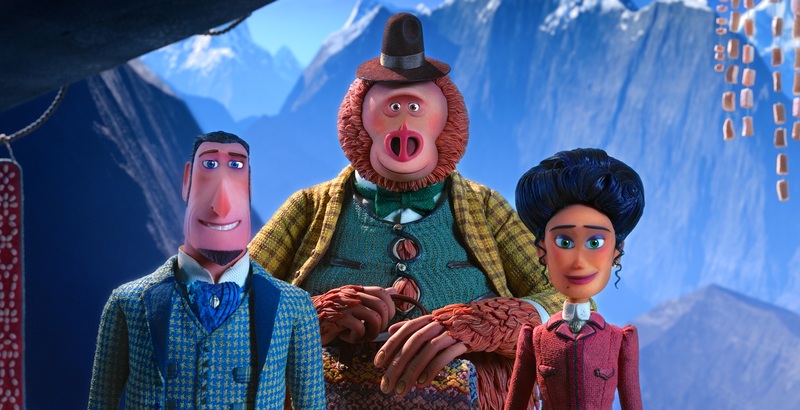 Written and directed by Chris Butler, MISSING LINK follows the adventures of Mr. Link (Zach Galifianakis), an 8 feet tall, 630 pound, furry, lovable legend (known the world over as Bigfoot, Yeti, Sasquatch, etc. ), as he seeks out his long-lost relations in Shangri-La. Mr. Link recruits fearless explorer Sir Lionel Frost (Hugh Jackman) to guide him on this epic journey. Along with adventurer Adelina Fortnight (Zoe Saldana), the fearless trio of explorers encounter more than their fair share of peril as they travel to the far reaches of the world. Through it all, the three learn that sometimes you can find a family in the places you least expect. 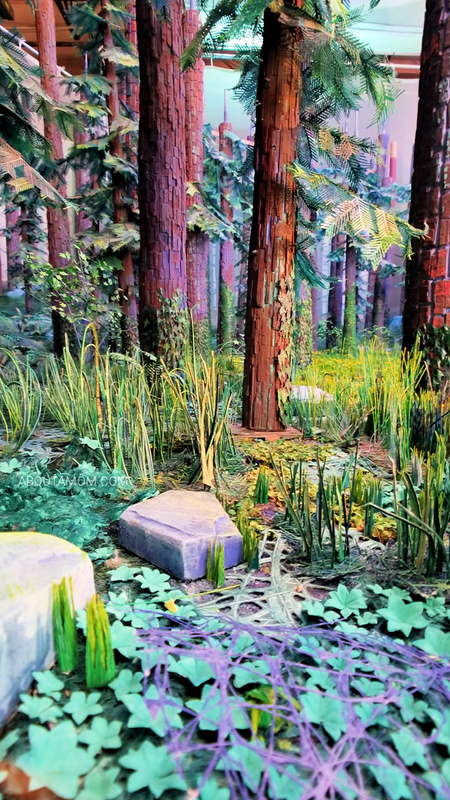 I must confess that before my visit to the set of MISSING LINK, I knew very little about the stop-motion (or stop frame) animation process and the amount of work, skill and patience that goes into it. It took 5 years with as many as 97 separate film units going at the same time to create MISSING LINK. Intricately costumed, movable puppets and beautifully detailed sets come to life one frame at a time, according to John Craney, head of the Puppet Department. It takes a lot of work to pull off something the likes of MISSING LINK. Craney further shared with my group that his department consisted of 86 super-talented artists and puppet makers with “lots of different disciplines and skillsets, such as the jewelry industry, engineering, illustrators, hair dressers, textile experts, people from ceramics background, and a smattering of art school rejects that reinforce the correct personality of the department.” The latter made me giggle. I so get that. One of the most interesting moments of my set visit was when, Brian McLean, director of Rapid Prototyping, explained how they do facial animation at the studio. He demonstrated the process by ripping the face off the character, Lionel. It was oddly very interesting, and I was eager to learn more. It’s called replacement animation. So, what animators are doing when they’re out on set, they’re moving the body and the hair and the costume around, tiny little movements. But for facial animation, they’re actually having an entire box of sometimes hundreds of different facial expressions, and those facial expressions are all predetermined. We’ve built exactly what the animation needs to be ahead of time, ad the animators have an x sheet. And the x sheet is basically telling them at this frame of film you need to replace one facial expression and put on a slightly different expression. The faces all snap in place by magnets which was kind of neat to learn. Brian said they buy magnets by the hundreds of thousands at a time. The puppet faces are created in-house using 3D printing technology. Replacement animation was previously done by artists hand-sculpting different facial expressions. LAIKA first began using this time-saving process on the film Coraline. McLean explained that the 3D printing process takes a computer model, and slices that model into thousands of different slices – looking at each slice as just the 2D image. It builds up tiny, tiny layers to create a 3-dimensional object. 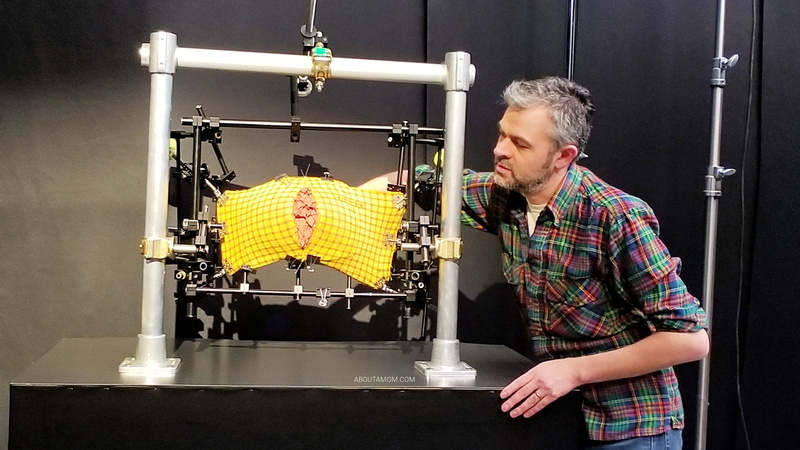 The technology has a “secret sauce, which is the support material.” The support material which is later peeled away and removed, is curing at the same time with the bright UV light, preventing overhangs or undercuts. It essentially holds everything in place during the curing process. 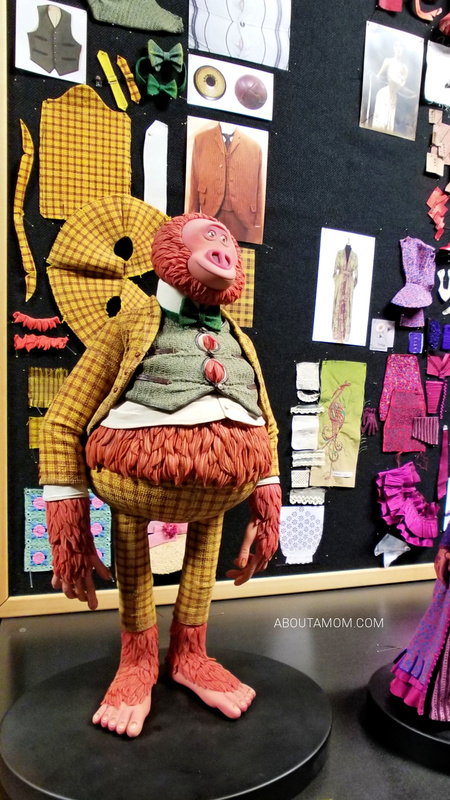 During my set visit, I had the opportunity to speak with MISSING LINK Costume Designer, Deborah Cook. She set the tone for what was to be a jaw-dropping and enlightening day for me as I learned so much about all that went into making the film, MISSING LINK, and the stop-motion process in general. In claymation the puppets have a full team of costume designers. The clothing not only needs to be picture-perfect, but also uniquely constructed to hold up to the stop-motion process and give viewers a seamless experience. We constantly look out of our area into techniques and technology that other fashion designers and costume designers are using,” said Cook. The film is based around 1890, 1910, on the turn of the century, so there were some particular costuming challenges in that there were many big changes in costume, and fashion and techniques during that period. 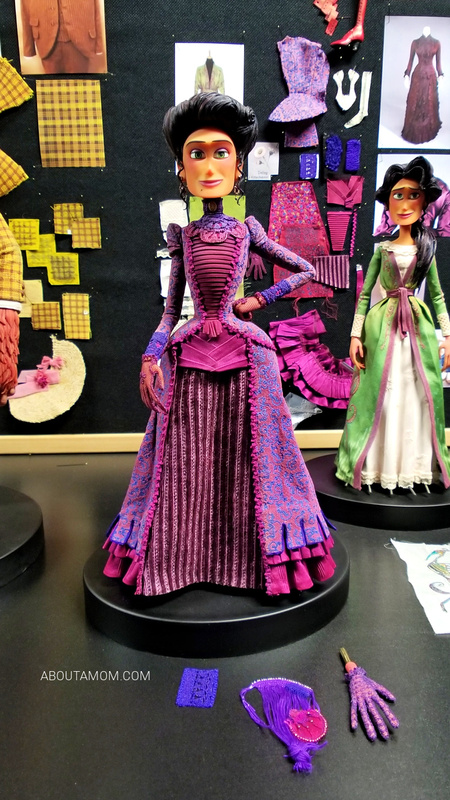 Also, all the little details like embroidery, cross stitch, scroll work, macrame, and strong patterns had to be camera tested and adapted to work with the scale of the puppets that are about a foot tall. Once a costume is designed, it goes through a hand painting process to age the materials. Cook explained that it helps support the character’s story by not looking brand new and pristine. “The clothes look lived in like they’ve actually been wearing them a while.” Much like the faded and ripped jeans jeans I love to buy. Maybe I’m oversimplifying things a little lot, but that was my big aha moment while she was talking about this process. 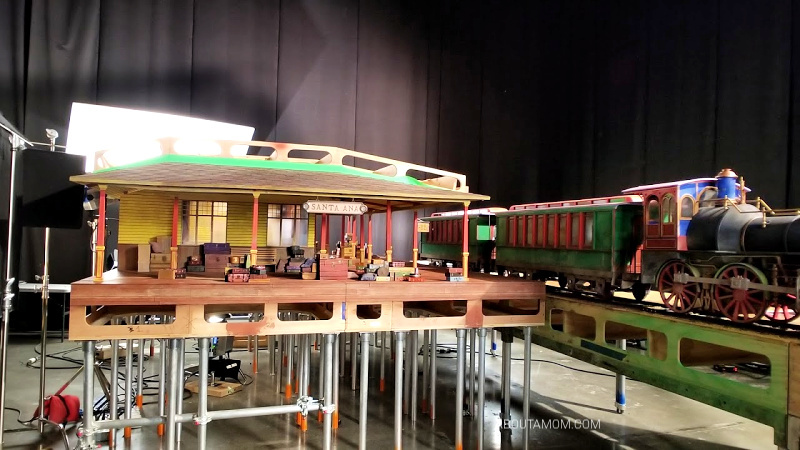 I was surprised to learn that a some of this film is shot on a combination of miniature and much larger scale sets. I was totally blown away by the set tour I did with Production Manager Daniel Pascal and Production Designer Nelson Lowrey. We explored a variety of sets, some very large and others that look like dollhouses. 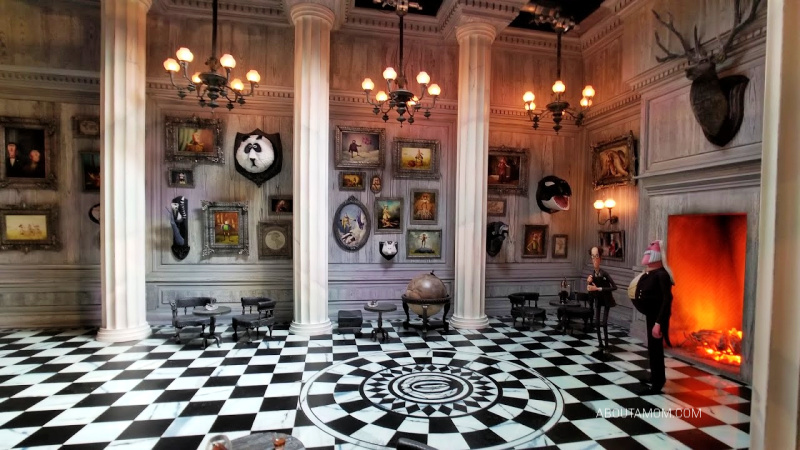 Lowrey explained that the sets designs are very thought out and planned in advance with prop drawings, color passes, and texture passes. That way when the team of about 60 people in the art department, hit the ground and started building, there wasn’t a lot of exploratory kind of stuff going on. On such a massive build it’s important for everyone to know what they’re doing. I don’t want to spoil anything, but just wait till you see the scenes that were shot in this ship. You might want to have some Dramamine handy! The attention to detail on all of these sets is truly remarkable. Oliver Jones, head of rigging at LAIKA, shared how rigging gives motion to the puppets, helping to bring them to life. 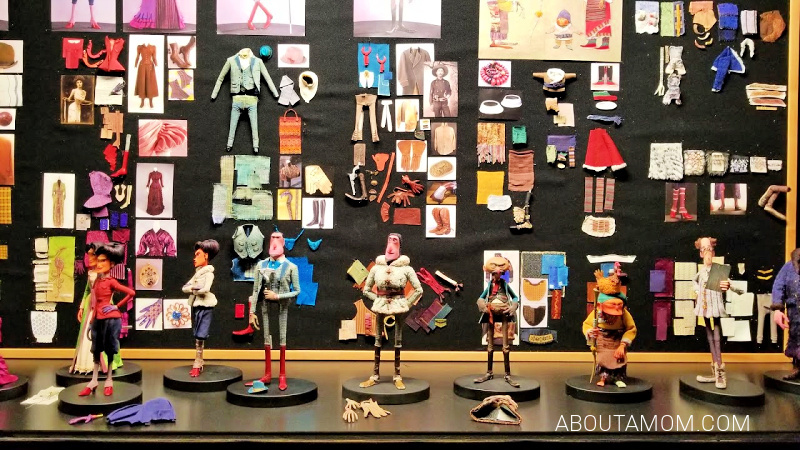 All of LAIKA’s rigging is designed and produced in-house in their own machine shop. 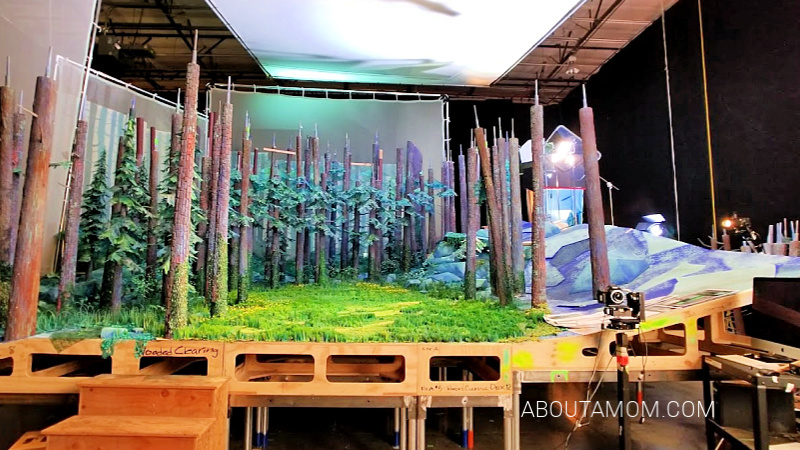 I was so impressed by how much work goes into bringing a scene to life, from the complex machinery and remote devices, to something as simple as strings pulling branches to give the illusion of wind. 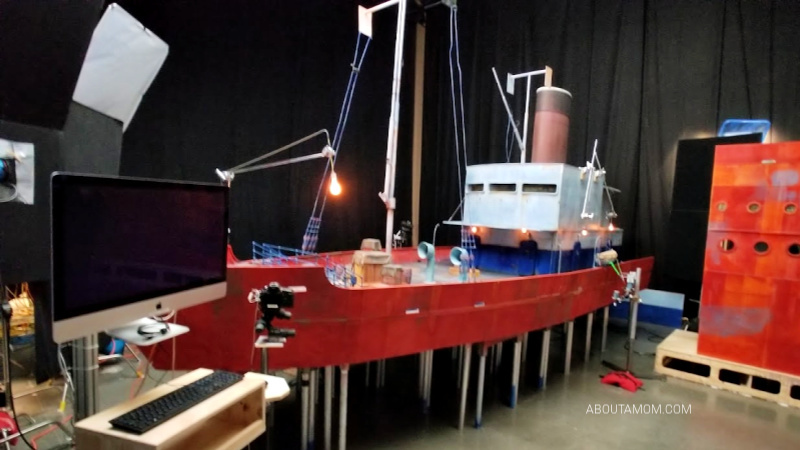 Visual Effects Supervisor at LAIKA Studios, Steve Emerson, spoke about the process of and reason for making hybrid movies that blend stop-motion animation with visual effects. He explained that stop-motion animated films are really hard films to make, because everything, including the characters has to be built. Then it all has to be brought to life one frame at a time over the course of years. So what that means for traditional stop-motion film making is you don’t have a lot of characters, and you don’t have a lot of environments. And you certainly don’t have any big effects. Filmmakers and storytellers are oftentimes asked to simplify. So, we didn’t want to do that anymore. We wanted to tell the stories that we wanted to tell. We wanted to be bold. I was always told from the beginning of my career was that if you’re doing your job right nobody knows you did anything. So from Missing Link, like I said, it’s certainly the largest show we’ve ever had to deal with in terms of scope. We had a total of 1,486 shots. That’s about 200 more than Kubo. As I like to say, 1,486 little stories, so there’s a point to every shot. Every shot’s telling a little bit of a story. It’s contributing to it, right, and these are just some numbers in terms of like the visual effects work that we did. In the case of Missing Link, we start the story in the–in London, and then, we go to the Pacific Northwest. And then, we’re in Santa Ana, California, and then, we’re in the American Southwest. And we cross America. We go to New York. We cross the Atlantic, end up in France. Go through Switzerland, India, the jungles of India, the base of the Himalayas. We climb the Himalayan mountains, and we end up in the magical valley of Shangri-La. So, lots of environments, lots of cultures. We wanted to see how far could we push this art form that we all loved, but in doing so, we also wanted to make sure that if we were going to start bringing technology into the mix that we were very respectful in terms of the way we were doing it and that we were leveraging all of this incredible talent that is out there building the puppets and doing the stages. I got to see some clips from the film that combine the digital effects with stop-motion animation. If the visual effects hadn’t been pointed out to me, I would have never known. 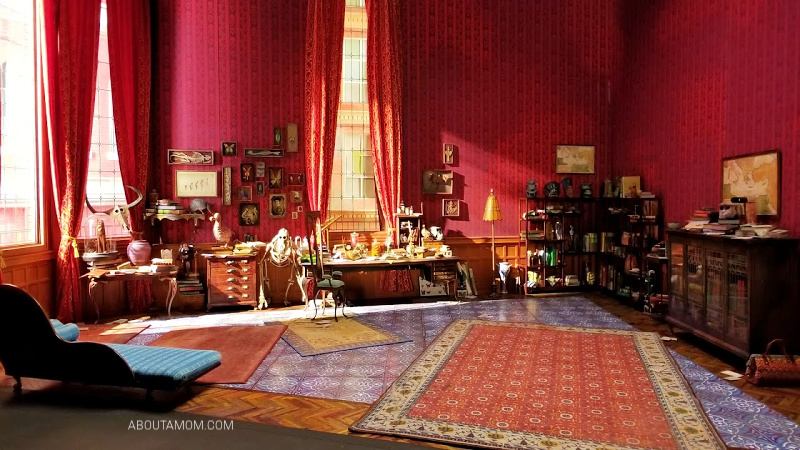 It all fits seamlessly together, and is a testament to how well the digital effects team and animators work together at LAIKA. Truly impressive. About 95% of the voice work is done ahead of shooting. Another interesting tidbit about this film is that the entire thing was shot using a Canon 5D camera. MISSING LINK has sixty locations with different backgrounds, sets, and color schemes. MISSING LINK is such a wonderful story about friendship and family, and is truly bigger than anything we have seen with stop-motion. The footage I saw was visually stunning. The story is heartwarming, funny, and filled with adventure. 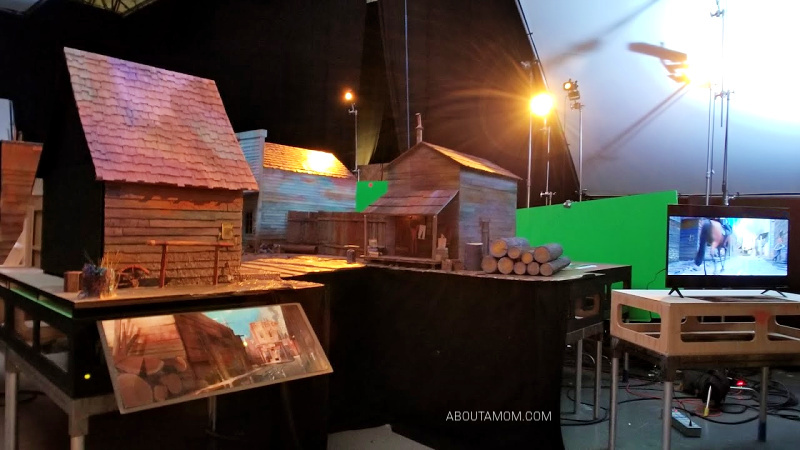 I’d say Chris Butler achieved his vision of making the Indiana Jones of stop motion! The characters in this film are so likable, and I love how there are some recognizable features in the puppets from the voice cast. I have no doubt I’ll be picking up a plush Mr. Link (aka Susan) for my 10-year-old very soon. MISSING LINK is in theaters April 12th and is a great film to bring the whole family too. I can’t wait to see the rest of it! Who do you plan on seeing MISSING LINK with? I hope you’ll stop back by after you see it, and share your thoughts with us!